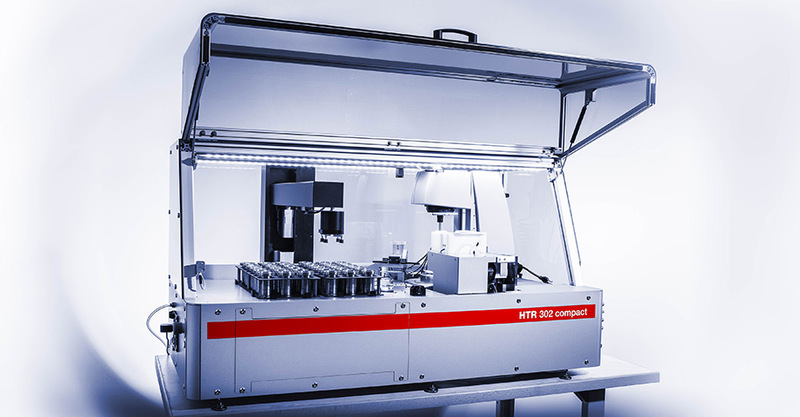 HTR 102/302 compact paves the way for the continuous automatic measurement of rheological samples in benchtop design. The installed MCR 102 or MCR 302 rheometer from Anton Paar measures your liquid and paste samples in both rotating and oscillating mode. Analyze up to 250 samples a day while the automated capping and decapping protects your samples from environmental influences. HTR 102/302 compact covers a wide range of rheological samples from food and polymers to paints and coatings. 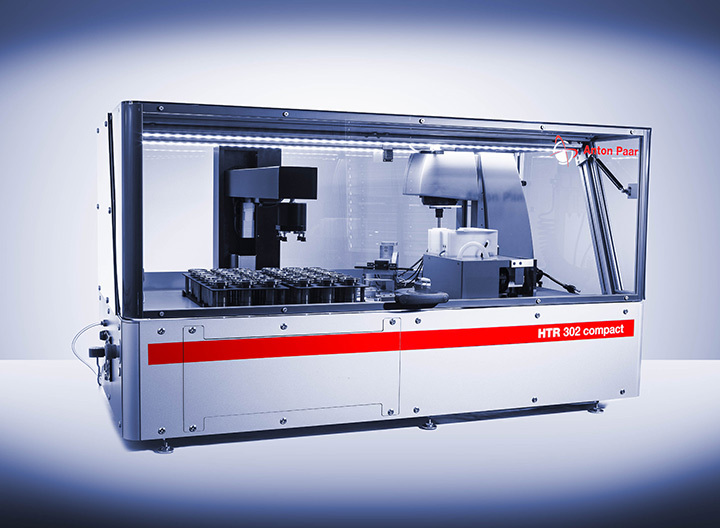 HTR 102/302 compact is an automated rheometer for the measurement of up to 36 liquid and pasty rheological samples in one run. Depending on the timeframe of the measuring cycle it is possible to analyze up to 250 samples in CC27 or smaller sample cups within one day. With the MCR 102 or MCR 302 rheometer you can run your measurements in both rotating and oscillating mode. To protect your samples from environmental influences like dust or solvent evaporation, the sample cups can be closed with gravity caps. 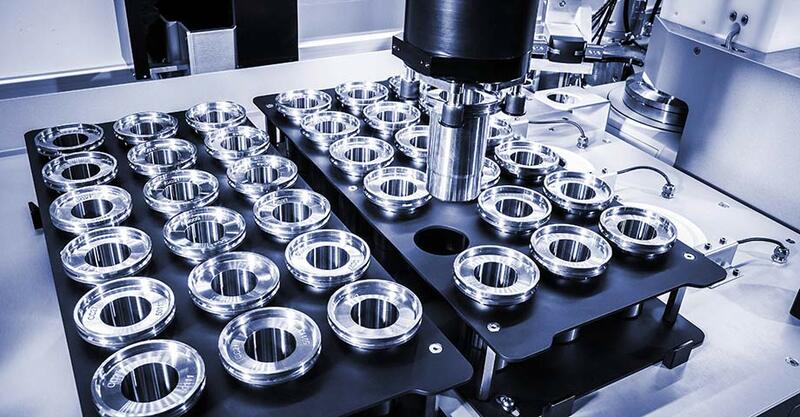 The decoupling of the mechanical structure of the rheometer and the automation platform guarantee excellent rheological measurement results. No extra time is needed to make long-lasting adjustments of the rheometer to compensate for vibrations. 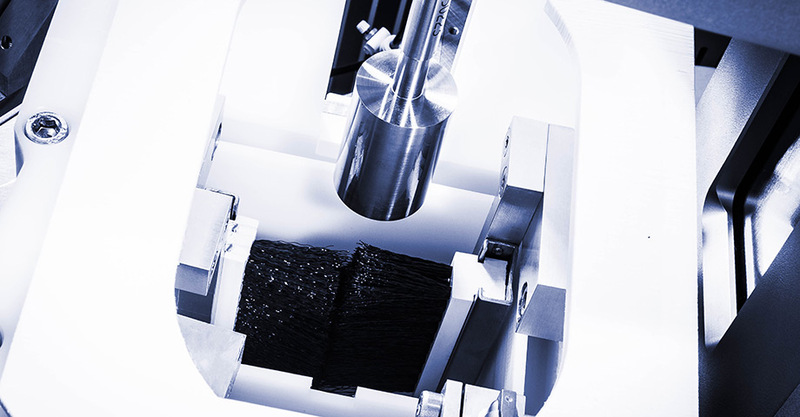 Moreover, the rheometer can be removed from the automation platform easily in just a few simple steps and can be used as a standard manually loaded rheometer. The user-friendly control software enables the use of individual sets of measuring and analysis parameters for any number of samples. The software also ensures that each step of the sample is traceable over the whole process. 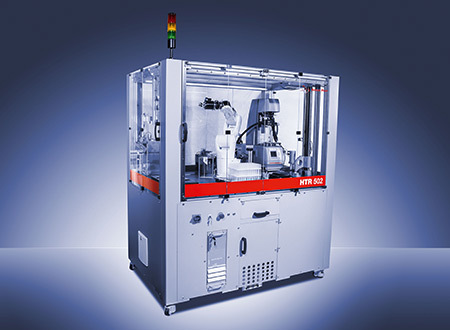 The method development takes place with the known rheometer software. 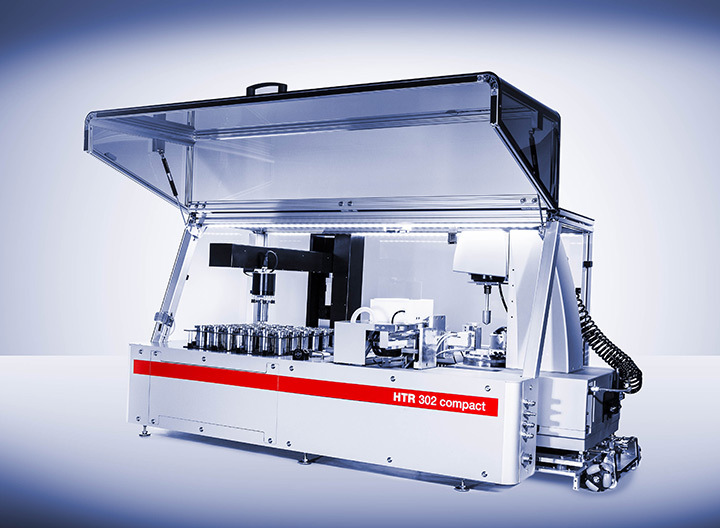 For implementation into your company network, HTR 102/302 compact has an Ethernet interface and the export of your measurement data can be done via LIMS as a CSV file or SQL database. The implemented Ethernet interface can be used to service the device via remote access should there ever be a malfunction. This ensures short downtimes and increases your productivity. For a routine maintenance only a few simple steps are necessary. These can be performed by any Anton Paar service engineer.